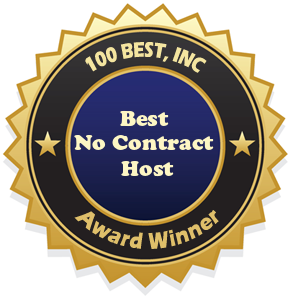 100best-free-web-space.com has announced Web Wizards as the Best No Contract Host. In addition to its no-contract required, innovative features, products, great customer service and low prices have helped earn Web Wizards, a leading Web host provider, this coveted title. In operation since 1997, Web Wizards strives to be one of the best quality web hosting providers in the industry. Not looking to be one of the largest companies, Web Wizards hopes to deliver customers with the best web hosting product for the lowest prices while maintaining the integrity of being a smaller company with a large list of services to offer. For just $6 per month, customers can take advantage of Web Wizards’ Mini Lite Plan, which features no set up fees, a 30-day money back guarantee, 2 GB monthly bandwidth and 50 MB disk space. Revolutionary H-sphere automatic system providing you with complete control over managing your own web site and fulfilling your web hosting needs. Free web site templates with Web Wizards’ integrated site studio tool to help you build your ideal website. With all of these web hosting features plus many more for a low monthly rate, it is no wonder Web Wizards is one of the best web hosting companies on the web, and were chosen as our Best No Contract Host. Staying away from the corporate-driven mentality Web Wizards strives to continue giving customers a great product and personalized service for an affordable price. Keeping its operation small, but strong, puts Web Wizards above the competition. Web Wizards plans to stay customer friendly offering a unique personalized web hosting experience no matter how large the company grows. Web Wizards offer innovative back up and operating technology with port filtering and firewalls running at all time. The secured servers also offer intrusion detection systems, which scan and report all activity. Web Wizards prides itself on offering strong 24/7 customer support following the motto: “Going the Extra Mile is not Extra!” hoping that customers will be glad to host with Web Wizards. Emergency phone support is available at any time with no time limits. As one of the longest-running web hosting companies, Web Wizards began as a small operation started by a group of friends in 1993, but was officially launched four years later. The increasingly successful web host was created to fill the market with a friendly supportive web hosting product, which has since grown to provide thousands of customers with quality service and support. Visit Web Wizards today to see if this solution is the best web hosting option for you! This entry was posted in Uncategorized and tagged best no contract host, best web hosting, web wizards review. Bookmark the permalink.